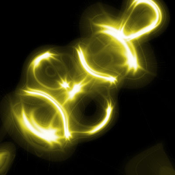 Glow Paint Pro will make you feel more relax, fun, and easy to create variety of glow artworks! If you enjoy using Glow Paint Pro please tell your family and friends about it, also if you can spare the time to write us a great review in the App Store, this is always appreciated! Enjoy using Glow Paint Pro - simply magical!